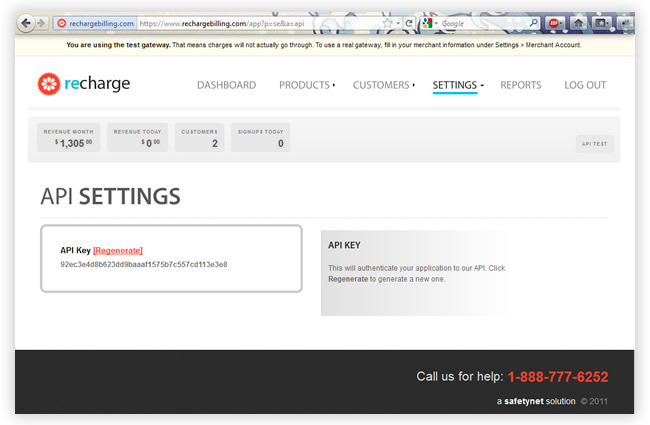 The recharge API uses basic HTTP authentication over SSL. The API uses separate credentials from the ones you use to log in to the website. You can obtain these credentials by logging in to the Recharge website. Your API key is listed under Settings -> API Settings. When accessing the API, you'll be asked to authenticate yourself. Simply set your username to your API key and leave the password blank.